October 2018 is the 100th anniversary of the First Republic. However, Brno is not going to wait until then – we are going to start the birthday celebrations early. A history lesson first. Czechoslovak independence came in the final days of World War I when the Austro-Hungarian Empire collapsed and the declaration, commonly known as the Washington Declaration because it was given to the US people first, was read in front of the Saint Wenceslas statue on Wenceslas Square in Prague, October 28, 1918. In Brno, the 10th anniversary of the new nation was commemorated with The Exhibition of Contemporary Culture which opened on the 26th May 1928 at the exhibition centre in Pisarky. The modernist architecture of the newly built exhibition grounds perfectly demonstrated the contemporary ideas and technological progress that characterized the new nation, which at that time was ranked among the 10 most developed nations in the world. By the end of World War II, the area was so seriously damaged by Nazi occupation that there was the talk of closing it down indefinitely. However, in 1947 renovations were started. Only a few of the original pavilions have been preserved – the unique pavilion A (a reinforced concrete structure with interconnected naves) and the forty-five-metre tall tower of pavilion G. It is amazing to think that the stunning pavilion A, together with Vila Tugendhat, were designed and built in the 1920’s when Brno was the epicentre of modernist design in Europe. Further development of the fairgrounds took place in preparation for the first International Engineering Fair in 1958 including the technically perfect dome of pavilion Z. 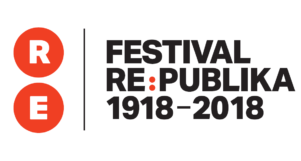 Exactly ninety years later, an exciting new exhibition, Festival Re:publika, will celebrate 100 years of Czechoslovak independence in the very same buildings. For the dance lovers, Divadlo Brno has invited dance companies from countries once part of the Austro-Hungarian Empire – Poland, Slovakia, Serbia, Austria, Slovenia, Ukraine, Croatia, Hungary and of course the Czech Republic itself. The program is already available and tickets are on sale so get in quickly. If art is more to your taste, check out the iconic work of Alfons Mucha The Slav Epic. Most people are familiar with Mucha’s popular Art Nouveau posters but the Slav Epic is different: a series of 20 enormous canvases, the largest 6 by 8m, the works depict the mythology and history of the Slavic people. These paintings are central to the Czech identity, having survived the Second World War wrapped and hidden away, and communism when Mucha was considered a ‘decadent and bourgeois artist’. Controversially, because of the inherent damage in rolling the large canvases and transporting the paintings, the Slave Epic has been on tour in Asia in 2017 but has now returned. I am not sure how many of the 20 paintings will be on display but make sure you see what is there. The exhibition will be available to see at the Brno Exhibition Grounds. May 26th is also the first night of Starobrno Ignis Brunensis; so the fireworks from Spilberk castle will provide a spectacular backdrop to the opening day of the festival. The third Meeting Brno festival also opens on May 26 with a gathering of nations on Svobody náměstí. Do you remember the scaffolding constructed on the site of the pre-war German Cultural Centre in Moravské náměstí last year? That was an initiative of Meeting Brno which brings together people of diverse opinions, culture and religions and aims to showcase Brno as an international city, which it has been historically and definitely is today. More information will be available closer to the date. Keep reading Brno Daily and Facebook to find out more.